One year and one day have passed since Michael Brown was murdered by a police officer on the street in Ferguson, Missouri. In some ways, to me, his death feels like a lifetime ago when I count the thousands of miles marched in protest, the countless words written and spoken in support and in despair, the millions of people around the world glued to the news and social media, waiting for answers, searching for direction. Yet it also feels like just yesterday, because the pain remains palpable and we’re still crying, knowing that 366 days have come and gone and we are not substantially closer to liberating ourselves from the tyranny of white supremacy. 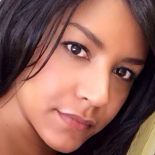 At least, I don’t feel any more liberated, as I walk around every day with black skin. On a good day, I feel like I stand in protective solidarity with the many people from all walks of life who challenge racial brutality every day, taking microscopic steps toward eventually undoing white supremacy. On a bad day, I feel like a target. 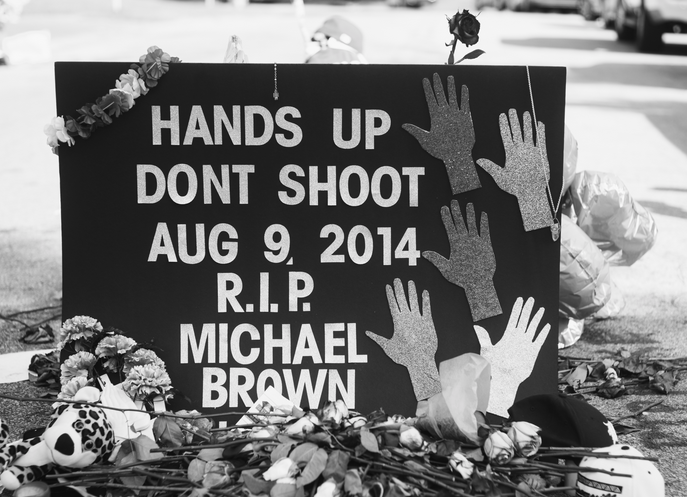 The police have killed 314 black people since Michael Brown. Other racial minorities are also killed disproportionately compared to white people. This is insane. We’re starting to develop a national consciousness about this racist madness, evidenced by the #BlackLivesMatter and #SayHerName movements, but consciousness does not equal justice. A lot more people, especially white people, are starting to process how catastrophic racism still is, but we still haven’t reached critical mass. They say that slow progress is better than no progress, but justice cannot come quickly enough when we’ve been waiting for hundreds of years. So what do we do next? That question was on my mind all day yesterday, as I reflected on the past year’s seemingly constant cycle of police killing and citizen protest. I don’t know. That’s my answer. And I’m tired. On a good day, I feel like I stand in protective solidarity with the many people from all walks of life who challenge racial brutality every day, taking microscopic steps toward eventually undoing white supremacy. On a bad day, I feel like a target. We’ve talked about how to become a white ally. We’ve pondered the idea of what justice could really look like if we want to repair our broken humanity. We’ve debated body cameras, special prosecutors for police misconduct investigations, increasing data collection about fatalities involving the police, and requiring anti-bias training for every officer. We’ve interrupted politicians to place the urgency of protecting black lives in the spotlight. And yet. Racism is the default societal framework in which we all function. Our communities are the sum of our history, shared values, and the policies that enforce how we want our values to operate. We can’t go back in time and change our history. We can only move forward and strengthen our collective resistance to racism in all it myriad forms. I was being honest when I said before that I’m at a loss for what we should do next. But while I may not know what we should do, I do know who should do it. In the months following the historic Climate March, I carry the climate justice movement’s slogan with me as a mantra that is wholly applicable to the movement to end white supremacy: “To Change Everything We Need Everyone.” That’s what it is going to take. Me. You. Everyone. Get on board if you’re still standing on the sidelines. Bring a friend. Late last night, grasping for unknown answers to questions that are too big for one person to address and feeling emotionally exhausted, a strange peace started to settle over me as I scrolled through pictures of people in the Ferguson streets, actively resisting the system as they gathered to lift up the memory of the slain and to rally the public to be disruptive instead of complacent in the clutches of institutionalized racism. Their power touched me from a thousand miles away as they stood defiant and determined, despite the heavy police presence. Their focused rage and intense sense of purpose made me feel stronger. And then in my newsfeed I suddenly saw a black body laying in the street. Another young black man shot by the Ferguson police on the first anniversary of Michael Brown’s death. We don’t yet know all the facts, and reports today say the man is in critical condition, but it’s impossible at this point not to recognize the gruesome, relentless familiarity. This entry was posted on September 5, 2015 by janeewoods and tagged Justice Matters, Race Matters, Scenarios USA.